The Godrej properties add another architectural jewel to its realty based crown, fondly known as Godrej Oasis. Coming up at Sector 88A, Gurgaon it is a majestic complex that is engulfed with all imaginary lifestyle luxuries and makes a perfect residential address. Just like its name, the spectacular residential township offers a world-class retreat to its occupants. Planned artistically & aesthetically, it lets you enjoy a contemporary lifestyle and offers a perfect blend of natural environment & thoughtfully attired amenities. The elegant project has also been honored with the ‘Most Promising upcoming project of the year – North India’ award. Swaddled in acres of green vistas, the property takes its residents to next levels of luxury and delight. The homes reflect fine living and architectural brilliance in every aspect. The property houses 5 imposing towers that flawlessly accommodate 1, 2, 2.5, and 3.5 BHK residential apartments. The towers offer picturesque views of the incredibly maintained 1.5 acres of green courtyard. The east-west orientation of the homes allow plenty of natural light and cool breeze to flow inside and keep the place fresh & vibrant. The apartments are fully air-conditioned and feature chic interiors that include modular kitchen with a hob & chimney, wardrobe & shower cubicles, wooden flooring, premium CP fittings, well-placed electrical modular switches & advanced safety features for the security of your loved one. Every apartment has an expensive private balcony that offers 270-degree views. There is a profuse club house that spreads over 10,000 sq. ft., sufficient enough to accommodate 300 families and is loaded with plenty of wellness & entertainment options. Concierge services, bike patrolling, shuttle services, dog patrolling are some of the exclusive services provided in the campus. The luxury community amenities include a meditation area to relax you mind & body, play area for children to keep them busy & engaged, a well-equipped gym for the fitness freaks, library for the book lovers, senior citizen area for the elders to sit & relax, convenient shopping centre for the ease of the dwellers, water & power back-up, waiting lounge, multi-purpose hall, intercom facility, round-the-clock video security and rain water harvesting to maintain the level of the ground water. The tastefully allocated green spaces including the beautifully done Central Courtyard enhance the beauty of the property. Experience the best at Godrej Oasis Gurgaon!!! Coming up in the posh locality of Sector 88A, Gurgaon, the property is mere 400 mtrs. away from Pataudi Road and 1.5 kms from Dwarka Expressway. Easy connectivity to everything important like NH-8, Hero Honda Chowk, CPR adds to the locational advantage of the place. The airport is just 25 minutes’ drive and the proposed metro station is mere 5 minutes from here. The swanky homes are available at an exclusive price range. Starting from Rs 64 lakhs onwards, the Godrej Oasis price list extends up to Rs 1.28 crores. As a promotional offer, the developer offers free maintenance and free concierge services for the first year. You can book an apartment by paying Rs 3 lakhs as the booking amount. 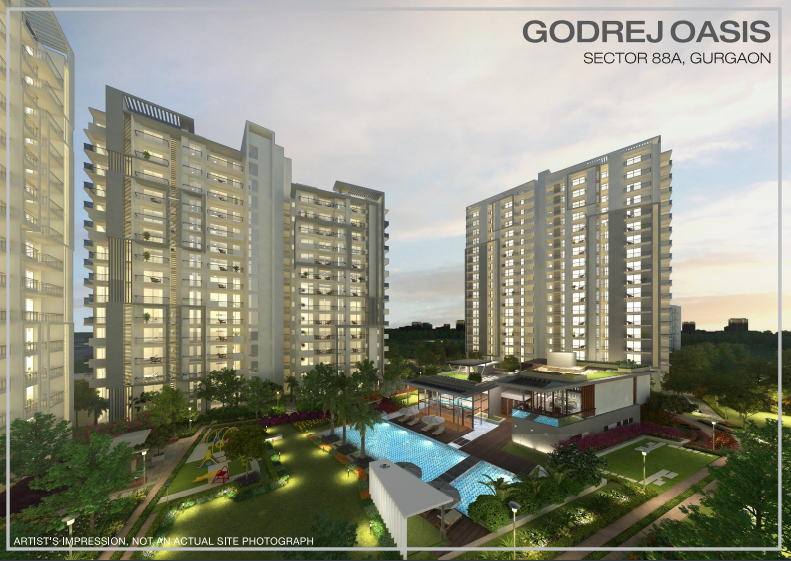 Established in 1990, Godrej Properties is the real estate arm of Godrej Group of businesses. Godrej Properties is a name synonymous with excellence, innovation and trust across a wide range of products & services. 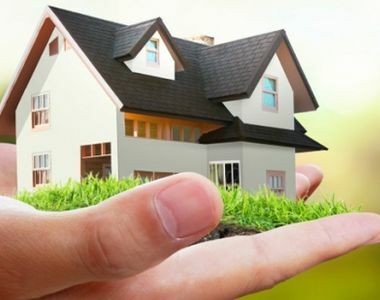 The company has a team of professionals (architects, project managers, contractors) who work hard day and night to deliver the best and on committed time. Not just this, they even provide post-project accessible support to the buyers. Oasis by Godrej properties is the latest offering by the developer that aims to cater to the changing needs and desires of the connoisseurs of luxury living. With a commitment to deliver the best, the property is adorned with best-in-class interiors and exteriors so that the occupants can enjoy a blissful living experience. Needing no further introduction, it is your dream destination of happiness that offers you umpteen moments of sheer luxury and joy!! Wardrobe, shower cubicle (master bedroom). Modular kitchen with chimney and hob. Near medanta medicity Rockland Hospital and DK. Expensive Private Balcony With 270 Degree View. EXCELLENT CONNECTIVITY FROM IGI AIRPORT. CLOSE PROXIMITY TO HERO HONDA CHOWK. SEAMLESS DRIVE FROM NH-8 AND PATAUDI ROAD. 25 Mins. From IGI Airport. 60 Mtr. Access from Dwarka Expressway.